The Maine Angus program is the hottest thing to hit the Maine breed since they imported the first Fullbloods to America. 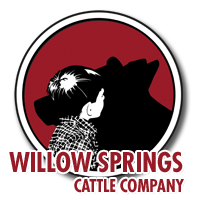 These cattle will compete at any level showring wise, but more importantly they’ll satisfy the most critical cattlemen, being great uddered, sound structured and very efficient. In this lot 1 female, we feel we have one that shows you what the Maine Angus program is all about. This ones neck flies high out of her shoulders and has an awesome rib shape to her. She’s great haired and has the look to send her to the backdrop. 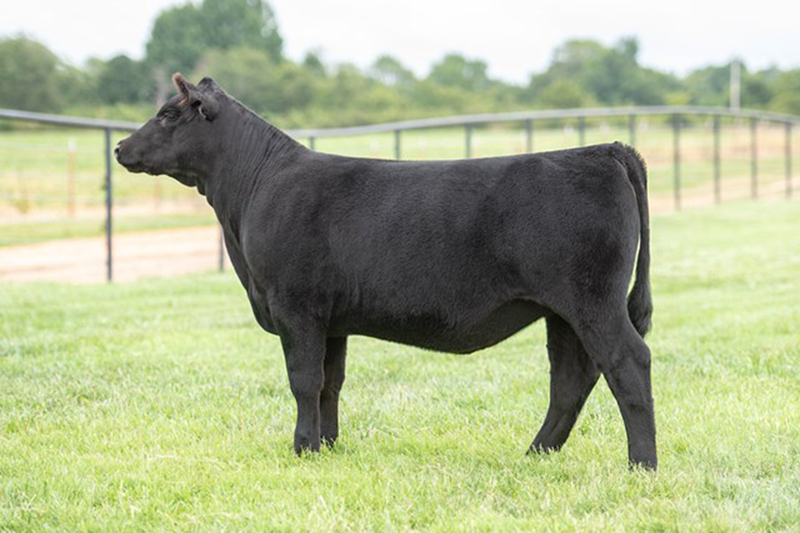 If you’re looking for a big time Mainetainer or Maine Angus, give this girl a look. 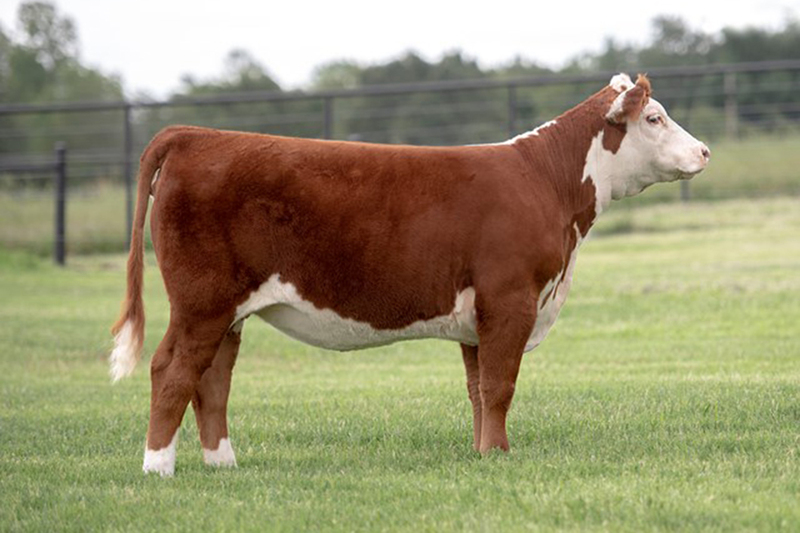 If you’re looking for a high quality Hereford show heifer, this could be the one. 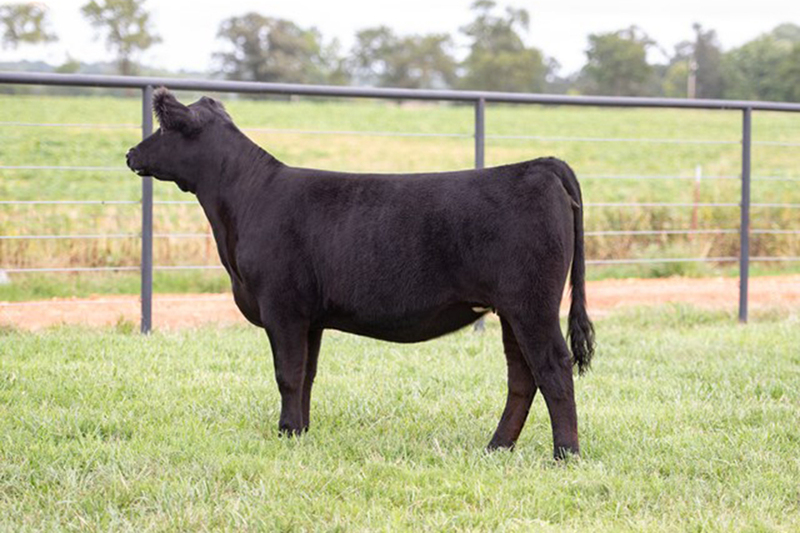 Lot 2 is a stout built Full Throttle daughter that is huge ribbed and robust in her design. She is one that a wide variety of cattlemen will admire. She is packed by cow power on the bottom side as her grandmother is the Cotton cow herself. 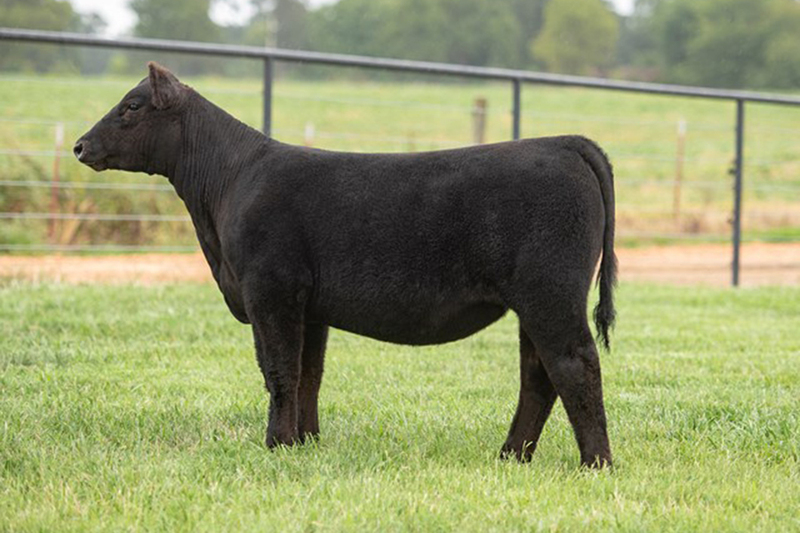 Power, pedigree and performance sells in this great lot 2 female. Come and getcha a little chrome in this lot 3 female. She is packed by the great Katie Babe cow that is a past National Champion herself. This one’s sire, Garth, is getting to be the go-to sire for a purebred Maine bull. 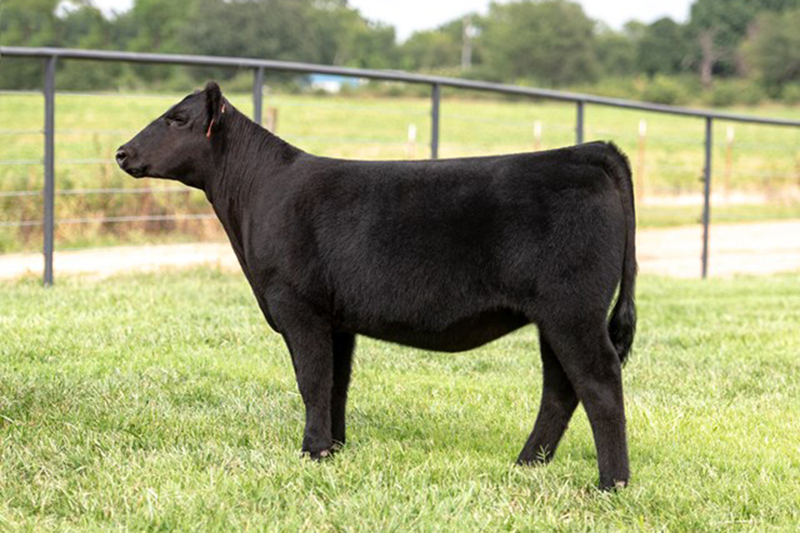 This Garth female has the look that will stop judges in their tracks. Along with her style, she is tree trunk legged and has an extra shot of power. This one has been one of the crew’s favorites since weaning as she is awesome dispositioned. She’s sired by the great Colburn sire, Creed. Creed is a Bush’s Unbelievable son that is out of Primo’s mom on the bottom side. So, Creed is a combination of Bismark and Style genetics with a shot of extra punch. The feet and legs on lot 4 are absolutely impeccable. She is one you could give lessons on structure with. This one has a bright future, make sure you’re the one on the halter. Here is another daughter out of the junior national champion Katie Babe. This Maternal Made daughter has style to burn, trust me. She has the three B’s: big hair, big body, big legs. You can drive the tires off your trailer jackpotting this high quality female. 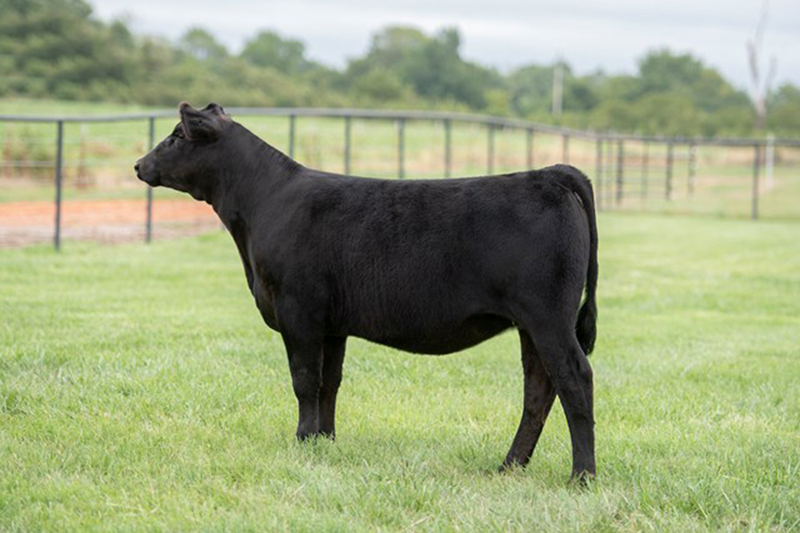 This girl is an embryo sister to lot 1. She is cut from the same mold as her sister, bold ribbed as any. Here again, you can see the efficient, high quality livestock that this Maine Angus program produces. Here’s one that will compete at any level you wanna play. Lot 7 is bred in the purple, friends. 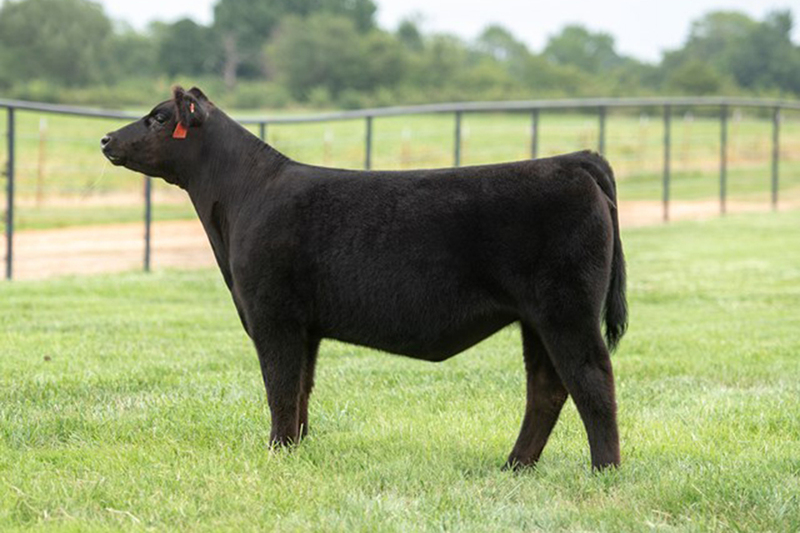 She is a full sister to the Morey female that was 4th Overall at the 2018 Chi Junior Nationals. She has the same reach out and grab you look that her sister has. These Style Chi cattle are dominating the show ring. You can either show one or get beat by them. You make the call. 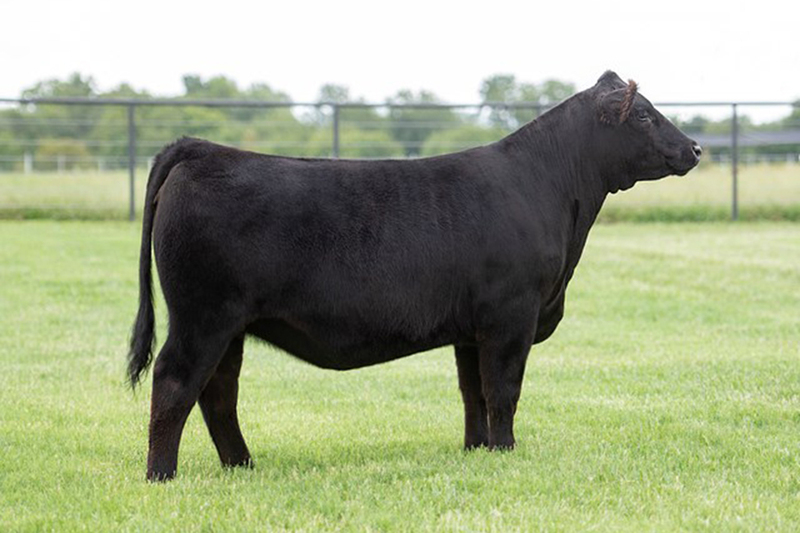 This huge bodied stout structured Style daughter is extra maternal in her build and design. She is a full sister in blood to lot 7 and 9, as she’s out of a full sister to 910Y. This one has the neck and extra flexibility off of both ends of her skeleton. She will make someone a big time bred next fall! Lot 9 is the older full sister to lot 7. Backed by the 910Y cow, this one has power in the blood. If you like width and power without compromising structure, this one’s for you. This one is all there! You will secure a spot in the donor pen the first time you lay eyes on her. Be sure to check out her video. Lot 10 is a unique combination of genetics. 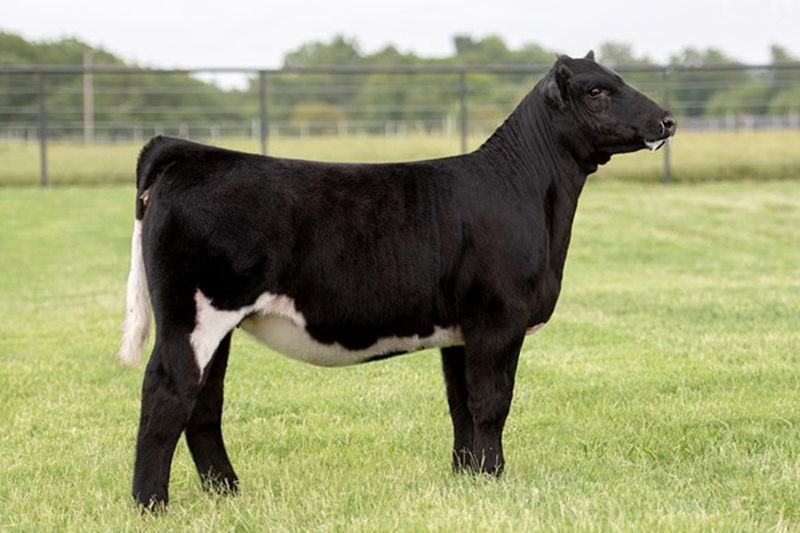 This one is sired by the popular Werning sire, Relentless, and out of the Yoho 1002 three-quarter blood Maine donor on the bottom side. 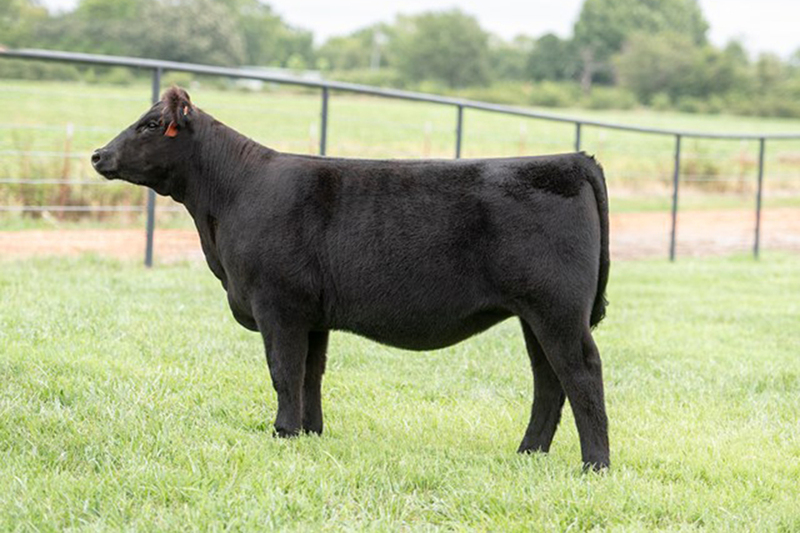 She will register as a half-Simmental and 3/8 Mainetainer giving you multiple options in the show ring and mating for your calf crop. This one is breeding cattle built right and extra maternal in her design. The upside potential in this one could be off the charts. She has been a stand out in the South Dakota her all summer. A good home is all she needs. Lot 11 is a full sister to lot 4. Another one out of the immortal Creed bull. These Creed cattle have an extra shot of power to them you don’t find in a lot of popular Angus blood lines. Lot 11’s mother, 9/916 was purchased from Reimann’s in their dispersal and is as good of an Ali cow as you’ll ever lay eyes on. This Horned Hereford female has power in the blood. Backed by a daughter of the famous Cotton cow, this huge footed extra sound female is built for the long haul. 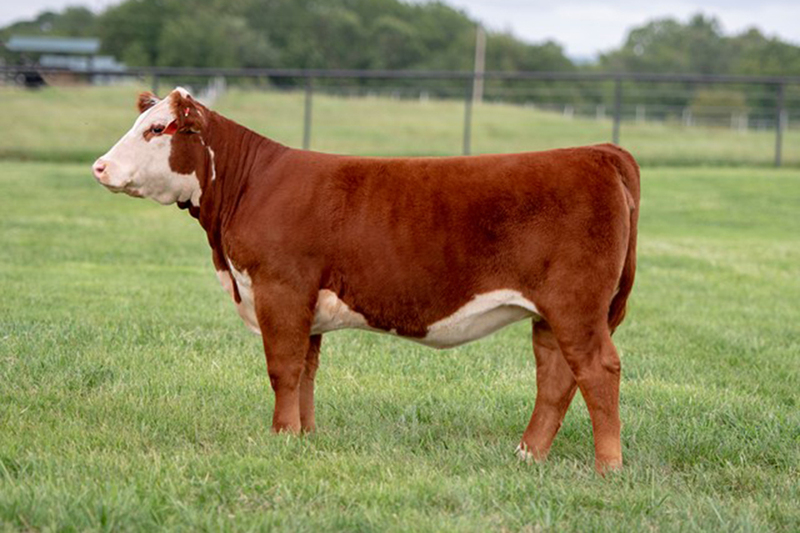 Horned Hereford’s with this much quality are hard to find so be sure to check out this tremendous Truth daughter. If you like them long and tall fronted, lucky number 13 should be right up your alley. 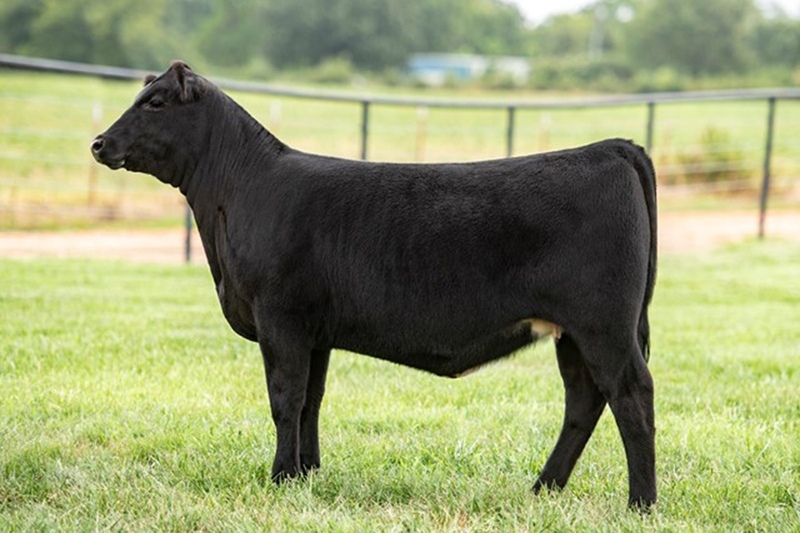 She is sired by the past high selling bull at Wayne and Barb Ohlrichs in Nebraska. This Lut’s son has far surpassed our expectations. They have a killer look to them. We look for big things to come with Cornerstone and his calves in the future. 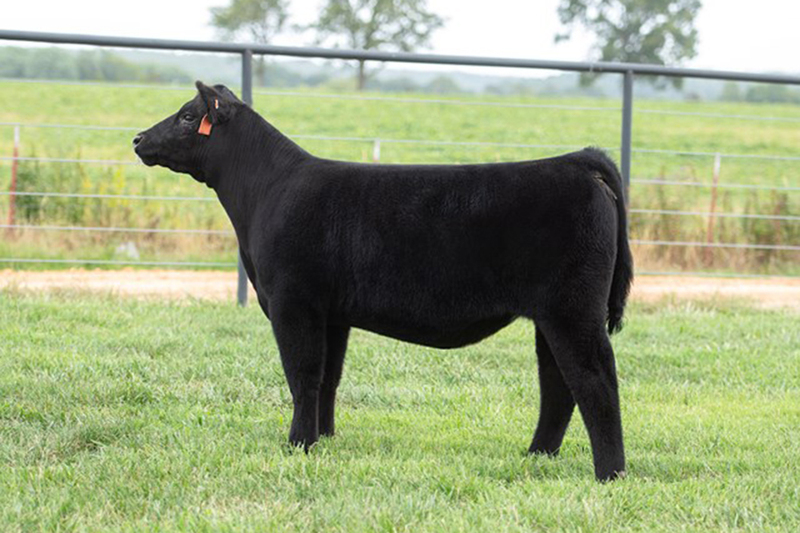 This one is backed by one of the best Chi show heifers that the Walker family has ever showed. Lot 14 will dual-register Mainetainer and Chi. She will be big haired and huge bodied all her life, and with her mother, Cheese, backing her, this one’s future is bright.